In modern enterprises, the traditional management style may encounter many complex problems, and the static/statistical method needs to be developed by incorporating a stochastic/intelligence approach. For higher productivity and better management, two subjects or classes that have been discussed since 2009 are faster and more systematic decision-making. There has been some progress with the former, which has been developed by Matsui (2013). With regard to the problem of the latter class, our matrix (white-box) approach has been more effective than management by feeling and experience. The advantage of the matrix approach is the visualization and bird’s-eye view of the black-box object, and the operability of any settings of resolution and shortcut pass (compression of causal cascade) at any stages of objects. First, the table (structured matrix) versus compact (Matsui’s matrix equations or ME) matrix approaches are discussed and unified (generalized) as the matrix model in the (finite) fractal form. Next, the case of interindustry relations table and its decision-making is formulated and up-circulated in the generalized (fractal) form of the matrix approach. To achieve a higher level of management, we also recall and rewrite an original means of integrating such intelligence using a matrix approach to the “Product (materials) × Enterprise (things)” strategy in 2009. 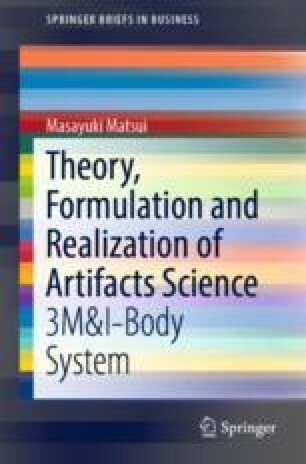 Finally, the unified and dual problems of Matsui’s ME and the structured matrix are discussed to achieve higher systemization and management. The purpose of this chapter is to present and consider a frame matrix, along with a case study of enterprise systems to achieve systematic and visual sustainability.